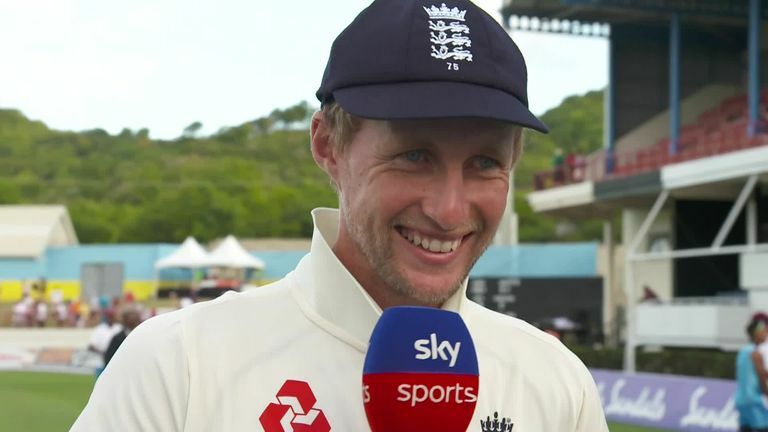 England captain Joe Root has hailed all-rounder Ben Stokes' return to batting with an attacking mindset after England wrapped up an emphatic victory in the third Test against Windies in St Lucia. 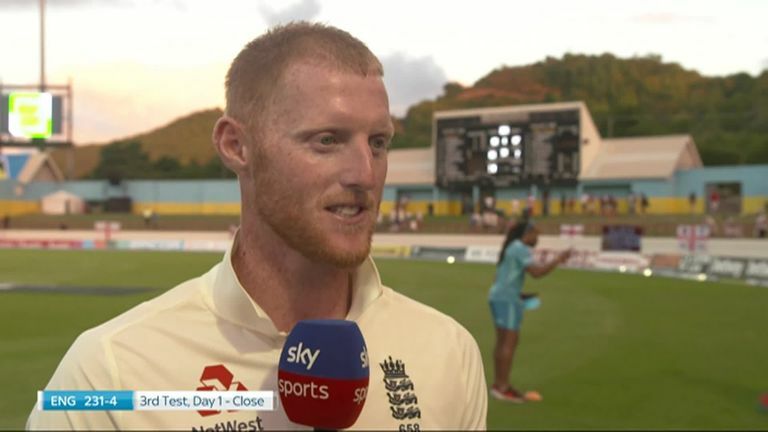 Stokes top-scored in the first innings with 79 to help the visitors to an important 277 before striking an unbeaten 48 off 75 balls in the second - during which he shared a 107-run fifth-wicket partnership with his skipper. The Durham player explained after his first-innings knock on day one that watching old footage of him batting at Lord's reignited his more attacking flair, and Root was full of praise after seeing Stokes' return to form with the bat. "I think Ben has approached this game with more of what he is about," Root told Sky Sports. "He will openly admit in the last year-and-a-half he has found things a little bit difficult, he went too far the other way when wickets have been challenging. "It is great to see him come and play in the manner he did in this match. When he is firing and playing in that manner it puts the opposition under huge pressure and he definitely gets the best out of himself." Mark Wood, playing in his first Test in nine months, also excelled on the Gros Islet pitch, taking career-best Test figures of 5-41 in the first innings to blow away the Windies. Root feels the paceman, who frequently topped 90 miles per hour and consistently reached the high 80s, can be the ideal third change bowler for the side. "He bowled beautifully in the first innings" the England skipper added. "I have never been stood that far back on a cricket field. "It is great to have that option and balance in your attack, complimenting James Anderson and Stuart Broad especially on surfaces like this where the ball does go up and down." Meanwhile head coach Trevor Bayliss, who will depart from his role following the culmination of this summer's home Ashes, has not ruled out a return to top of the order for Keaton Jennings. Having been dropped for the second Test in Antigua, Jennings earned a recall in St Lucia but managed scores of just eight and 22 - finding himself unluckily bowled when the ball flicked his trouser pocket and trickled back onto the stumps in the second innings. However, Bayliss believes runs in the early part of the County Championship season for England's beleaguered top three will be key to securing their places in the Test side for the Ashes. "I think the top three have all shown what they are capable of doing at this level," he said. "The challenge now is to do it more regularly. "Going into the Ashes, the early season county matches will play a big part for those few players at the top. "They are the incumbents for those places and if they come out and score big runs in county cricket that will go a long way to them being selected." 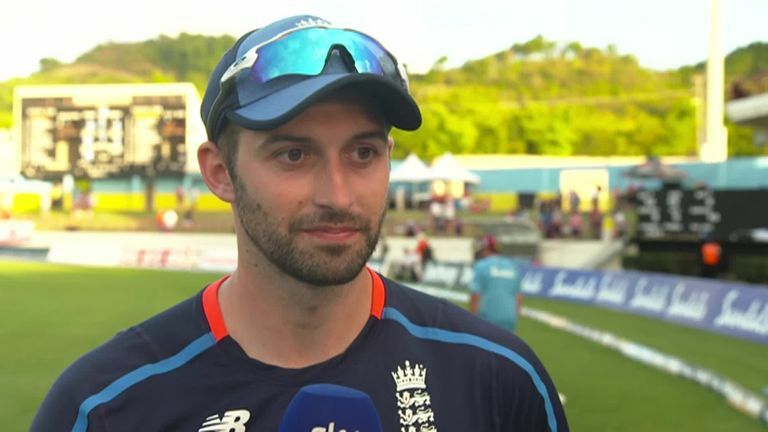 Despite the victory in the third Test, England lost the series against a young Windies side 2-1, having been resoundingly beaten in Barbados and Antigua. 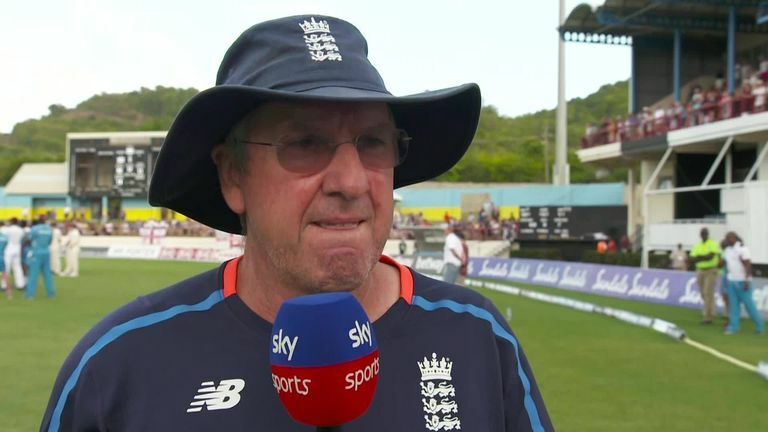 Although questions were raised over a lack of preparation, with the visitors opting to play two two-day matches instead of a four-day first-class game which they were offered, Bayliss rejected it as a reason for the series loss. "The wickets caught us on the hop a little bit but even if we had played a four-day game the [warm-up] pitch was nothing like the one we played the three Tests on," he explained. "With only four days [preparation] we have felt over the last few tours the best way to get everyone some time out in the middle, batting and bowling, was two two-day games. We did that in Sri Lanka [where they won the Test series 3-0] and it didn't affect us at all." You can watch Sky Sports' full interview with Joe Root by clicking on the video at the top of the page.